The bed was in her previous room, but the dresser and bookcase were in the boys shared room. The rug was also in her old room and I'm not 100% sold on it :) It coordinates with the blue in her sheets, but I'm keeping my eyes peeled for something a little more fun... white or aqua is what I'm thinking. And here was her room before! I know what you're thinking... why didn't we just put Mason in this room and Griffin in the room with the pink circle wall?? This room has a sink/vanity area that isn't accessibly from the playroom so we thought it would be better for her as the kids get bigger. At the end of her bed is her little babydoll area. She LOVES her babies and I love having a little spot for her to play with them. On the wall above her bed I hung a few of the frames from her previous room, three of these hooks and this floating shelf. Same goes with the frames. For now they have some of our favorite Instagram pics in black and white, but I think they'll be great with art, etc. in them as well. Griffin LOVES her bathroom. ;) Her independent streak is STRONG and she loves to wash her hands and get herself glasses of water. The little white flowers are from Target. She has a linen closet in her bathroom which is kind of a hot mess of extra sheets and band aids right now. And a couple of framed bluebonnet pictures finished off the teeny space. The mirror above her dresser used to hang low in her old room and I love the pop of pink ;) The mirror matched an old dresser set a friend gave me, but I painted it hot pink a few years ago. I switched out the IKEA knobs for crystal ones from Hobby Lobby. She LOVES Baby Lit books! I really don't have a great bow storage system... we just toss them in this wire basket. Most of these are the big flowers she wears all the time. At some point I'll have a cushion made, but for now there are lots of fun and fluffy pillows. I love everything about GG's room! I think the wall color is perfect as a backdrop to all of her pretties. It looks really nice with her bedding too! 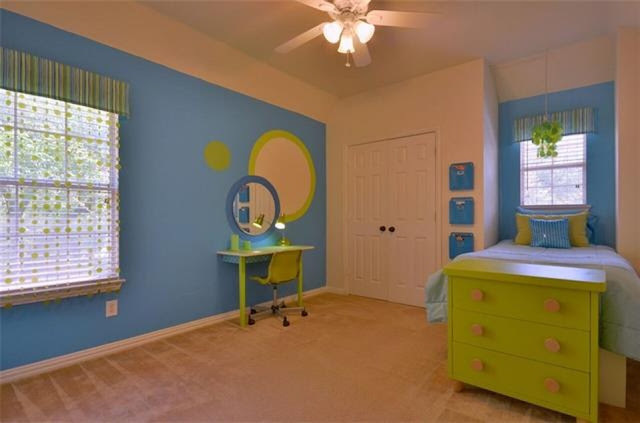 Her room is beyond perfect for a little girl that will one day group to be a really big girl. Love! You have a gift for decorating kid rooms and bookcases! I have enjoyed these posts... Now, any ideas for a sports room? And could you post how you decorate bookcases? They're so personal and perfect! Love your blog. I agree, I struggle with this!! I love the pops of color! Do you leave those specific dresses on the hooks, or do you change them as she wears them? Unfortunately the hooks are no longer on stock, but I did find some cute ones on Etsy! Please tell me about the Hohos - were can we find those? I have some cute baby outfits sitting in a bin, and this would be a great way to use them! I found the Hohos on Etsy! I love her room! You did a great job! Love the pink mirror - it looks like it matches so well with her bedding! I also love her baby doll area. My daughter is 11 now and still plays with her American Girl dolls. She has a little corner in her room for her dolls. Awwww!!! Love that your daughter still plays with dolls... so sweet!!! Griffin's room is perfectly sweet! Just like her! What an adorable space for Griffin!! So cute! Good job, mama!! hey guess what!? i'm off to home goods again. (eyeroll emoji, heart eye emoji haha!) love it all sooooo much!!! Those little Hohos would be perfect for putting a tooth in for the tooth fairy. I'd love to know more about how to get one. Following! Thanks so much for your reply. Her room is adorable and it gave me some great ideas for my daughter's room! Do you have the link for the Hoho dolls? I would like to get one for my daughter. Thank you! And for the little doll for Christmas! It's the perfect room for Griffin!!!!! So sweet!!! Love her room!!! What is the name of the wall paint color? Thank you!! I'd like to know as well. I've wanted to change my daughter's room and I think this grey in perfect! Thank you!!! That's the sweetest! Do you happen to remember where the wire basket rack from the reading nook is from? What size picture goes in the ikea square frames?? Will you come decorate my room?! I want hohos and pretty dollies too! As an adult I felt like I had to have an "adult room" and now I think it's just boring! So so sweet!! I LOVE the pop of pink from the mirror! So girly and fun! search her blog..she did a whole post about these frames from Ikea and where she orders the prints! Love her room!! Where did you get those baskets on her shelf? The ones with the chalk tags? I would love to get some for my apartment! Perfect room!! I am amazed at your styling ability - the shelves are too fun!! Her room turned out fabulous! All of the kids rooms are AMAZING! Thank you for sharing!! Do your kids all have the same bed? Is it Pottery Barn? What a cute room! I bet she loves it! 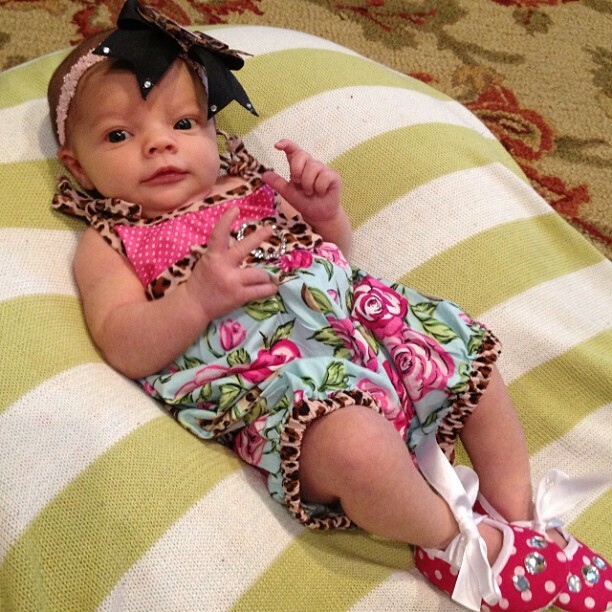 Andrea- seriously so adorable!! I think you have mentioned it before, but what kind of wire or string do you use to string those Pom poms by the window seat? LOVE her room. It's perfection! I bet she is over the moon happy with it. I love that it's girly but not baby and definitely something that can grow with her as she gets older! Oh goodness!! We moved in October and this is giving me so much inspiration! My husband is a realtor and we have moved 4 times in 5 years, so we have never really decorated a place since we knew we weren't staying long. I am so ready to have cute rooms like this and may just have to get started at this house! Griffin's room is adorable! I love all the details! Do you remember the name of the Ikea dresser? Thanks! Very nice!! Do you remember where you got the tall white table lamp? Where did you get all their cute beds?